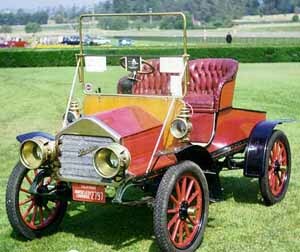 ANTIQUE CARS - 1900 - 1930! 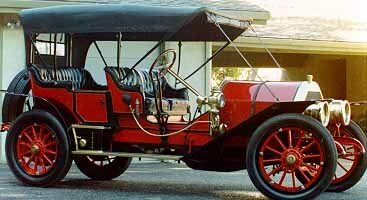 MANY ANTIQUE, CLASSIC CAR PHOTOS! 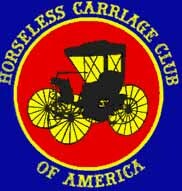 HORSELESS CARRIAGE CLUB OF AMERICA ! Becky and I are dedicating all our HCCA Sites to Jack and Grace McQuown. Jack passed away last year 2005 and is sorely missed. He was a mainstay in the national and local club. He and Grace served in every office possible over the years. He also restored many of our cars, motors, antique gas pumps and was always there to help with info for anyone that contacted him. 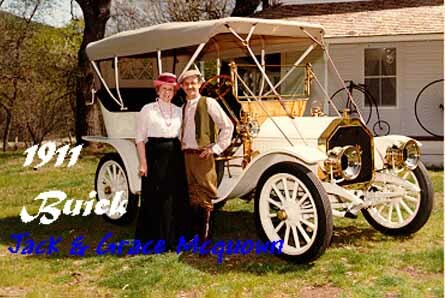 You will find many photos of Jack and Grace on our pages and tours recorded here. Grace is still helping out with HCCA projects. 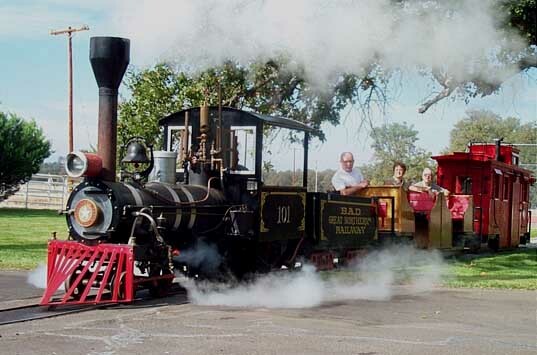 Rides our Live Steam Railroad .. Click here or on the photo below. 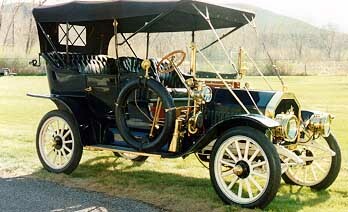 1910 - Model 17 BUICK! with Brunys 1911 Knox & Simplex behind it. 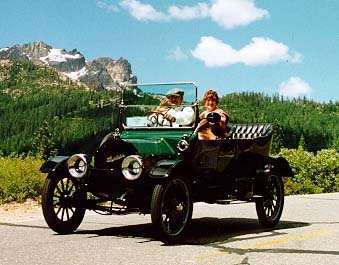 Dorothy Brunemier with their 1906 Mason. 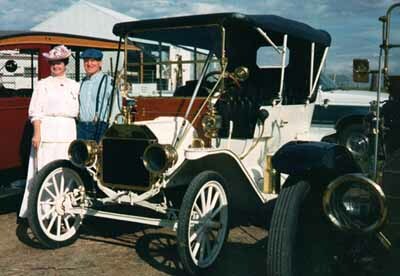 Claude Miller and Marcia with their 1911 model T touring. 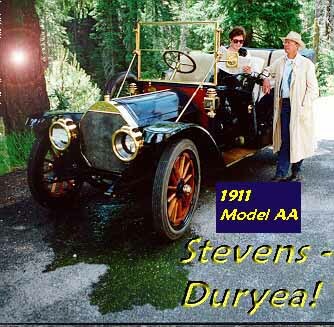 Below is the World Record Holding Stevens-Duryea! Belonging to Tom & Jan Gandy! 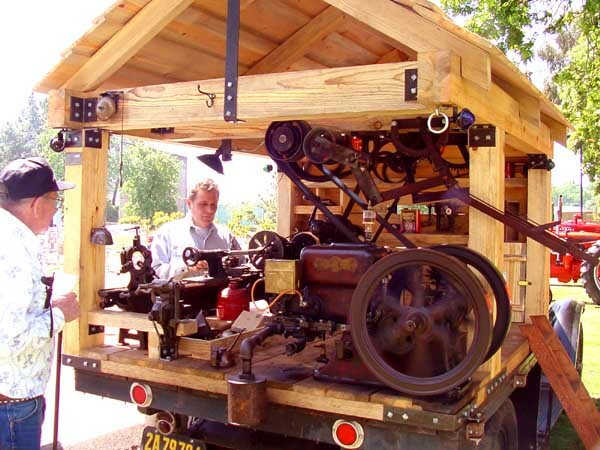 This car holds the worlds record for going the shortest distance off the trailer. It is really a wonderful car! 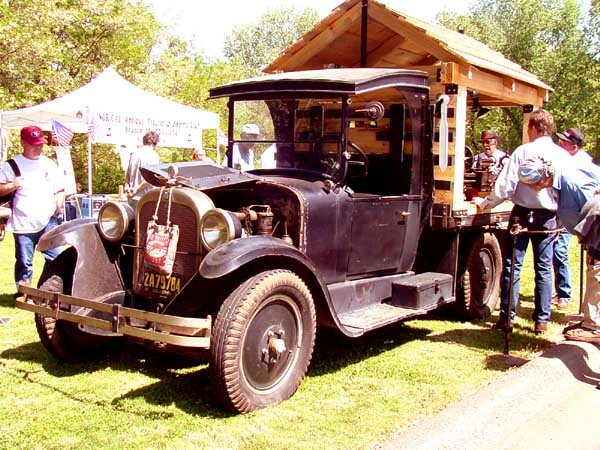 It was fixed shortly and toured beautifully on our last tour up the Feather River Canyon! Our good friends Tom & Jan Gandy. 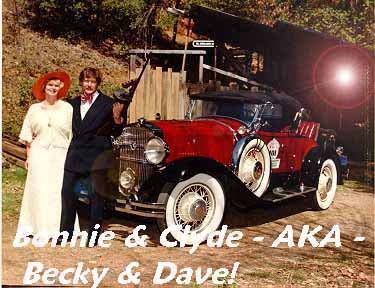 Becky & myself in 1984 after the Great American Race with our 1930 Studebaker. Say Tom! I'll race you for titles with 2 pistons tied behind my back! 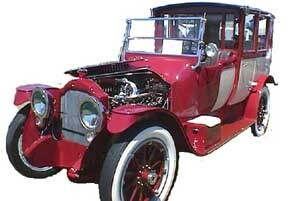 This is a 1916 Packard Twin Six 7 Passenger Limo, with a custom body manufactured by the C.P. Kimball Co. this car has a production date of 12-06-15. It is a twin six. We started work on it in Sept 97, and it just received two awards at the Concourse in Everett Wa. It placed in it's catagory with a 2nd, and best of all it took Peoples Choice, so I thought I would share the picture with you. This was a burnt out hulk when we started, it was taken down to the last nut and bolt. 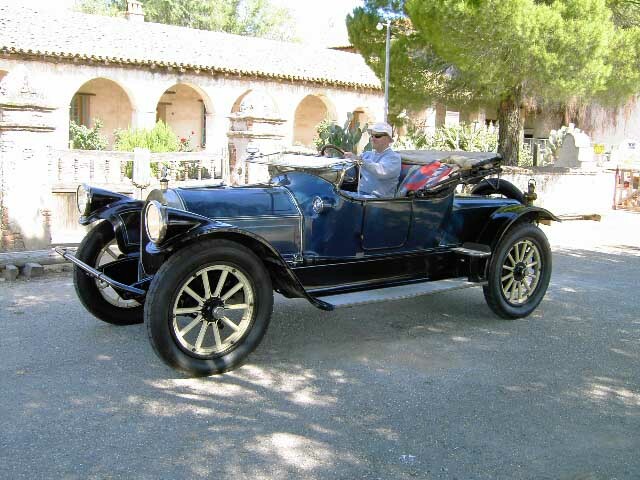 It was completely restored by my husband and myself. The Official HCCA National Web Site- Web Master Brad Balduff Does a Great Job! 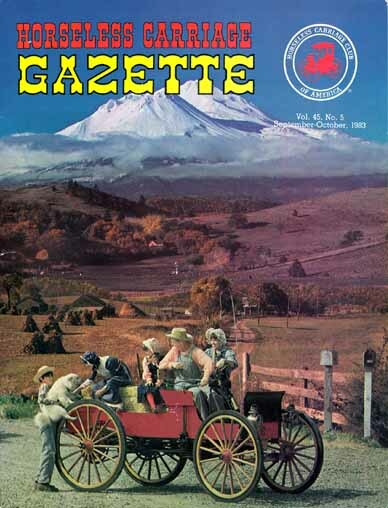 The Gazette Editors HCCA Page - by John C. Meyer III - National info on the club & events. Very nicely done! John is also the editor of the HCCA Gazette & one of the top 3 editors of the finest club publications in the world due mostly to the personal sacrifice of these 3 individuals! ... 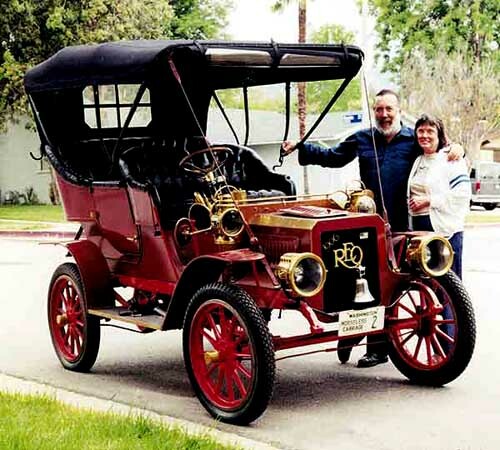 The other 2 being Richard Quinn of the Antique Studebaker Club (The ASC Review) & Beverly Kimes of the Classic Car Club of America (The Bulletin) ... I just want to say my websites pale in comparision to the years & years these people have dedicated to the car hobby. We all owe them a huge debt of gratitude. Here below is a photograph of John and his wife Pat, and the text he sent out with the mail bag. The search is over. 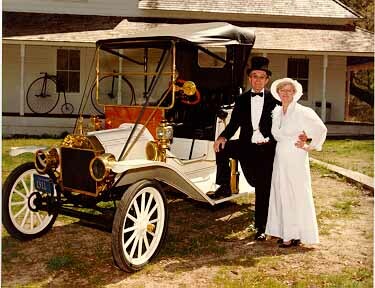 Pat and I wanted to get a horseless carriage that had been well loved. She also thought having something large enough to carry my photography gear was necessary. 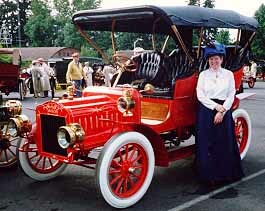 Finding one that would fit in the garage next to our Model T Ford roadster/pickup was important, too. 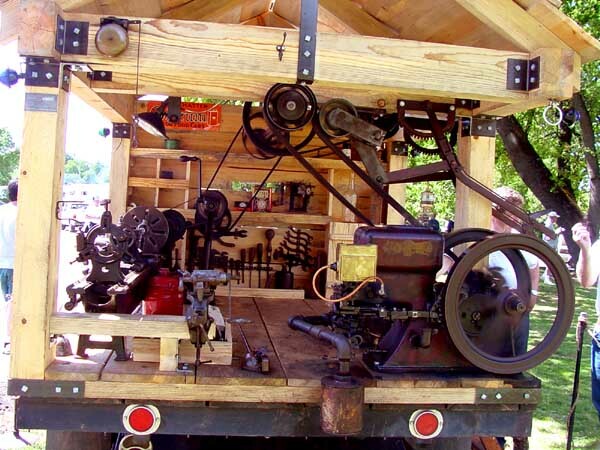 The Strawn's mobile Blacksmith Shop on a truck! ... Please join us for a day by day photo journal. Great Cars! Great People! And a Great Time! This is better than Pebble Beach, National CCCA meetings, stuffy car shows and award dinners all rolled into one! To us this is what car collecting is all about! Getting your Classics out on the road with fantasic folks! Since 12/28/05 ... It fails and resets to 0 a lot. We have counters on only about 7 of our pages, but get several million of page visits/year. 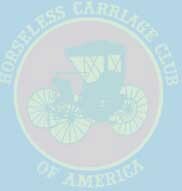 Want to join the Antique Automobile Webring? Webmaster Doc Hemp (and Becky) donates their time & server space to host & do this regional HCCA site off of their BAD Chariots website. If you like it please e-mail us above & support & visit our non-commercial BAD Chariots Site Too! Thank You!